Jeremy explores many topics as he juggles his passion for writing with his career as a chemical analyst and campus manager. We consume thousands of refreshing Coca-Colas across the globe each second, making it by far the most successful soda of all time. Invented by John Pemberton in the late 19th century and intended as a medicine, the beverage amassed a long and interesting history as it rose to become the top-selling carbonated drink. Don't believe me? 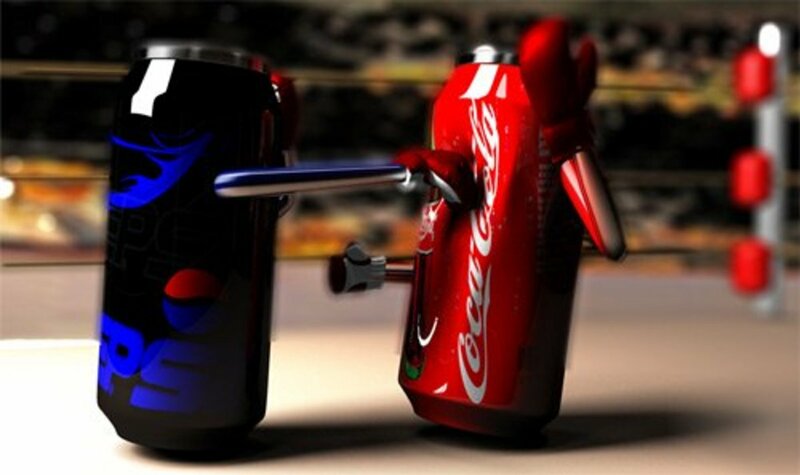 Here are ten insane facts about Coca-Cola you probably didn't know! Soft drink connoisseurs may know Coke owns other popular sodas like Sprite and Fanta, but did you realize they also control Minute Maid, Dasani, and Powerade? How about Simply Orange and Glacéau Vitamin Water? Mellow Yellow and Fuze? The list goes on and on. While Coke will always be their star soda, the company wisely branched out into all kinds of beverages to further spread their influence. 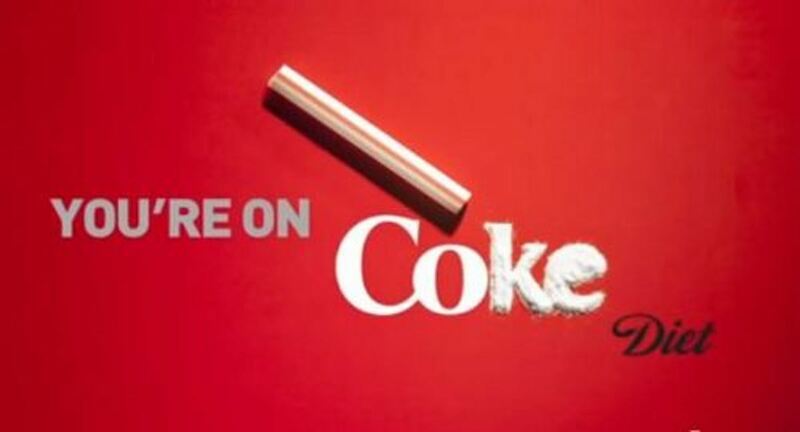 Even today, an infamous rumor circulates that Coke contains, well, coke. So, does our favorite soda harbor some hidden drugs? Not anymore; the company wisely removed the cocaine around 1903. Surprised that the original formula contained a forbidden substance? Back then, cocaine wasn't illegal (it was banned in 1914), and society believed it had some medicinal properties, hence its inclusion in a variety of products. Adding the substance to a beverage now would be marketing suicide, but at the time it made sense. Mostly. Coca-Cola was formed in America (more on that later), causing many people to associate the drink with the States despite the fact that it's consumed worldwide. Thus, foreign nations were reluctant to sell "American sodas" during World War II. 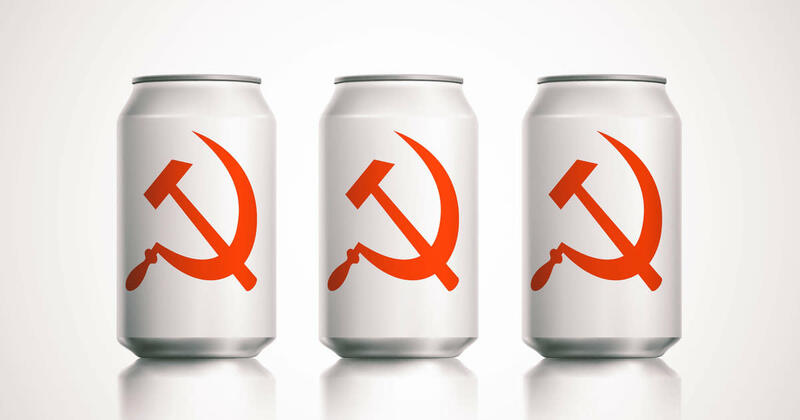 To avoid losing sales overseas, Coca-Cola designed White Coke, a colorless liquid intended to promote neutrality in war-time and remove affiliation with any one nation. 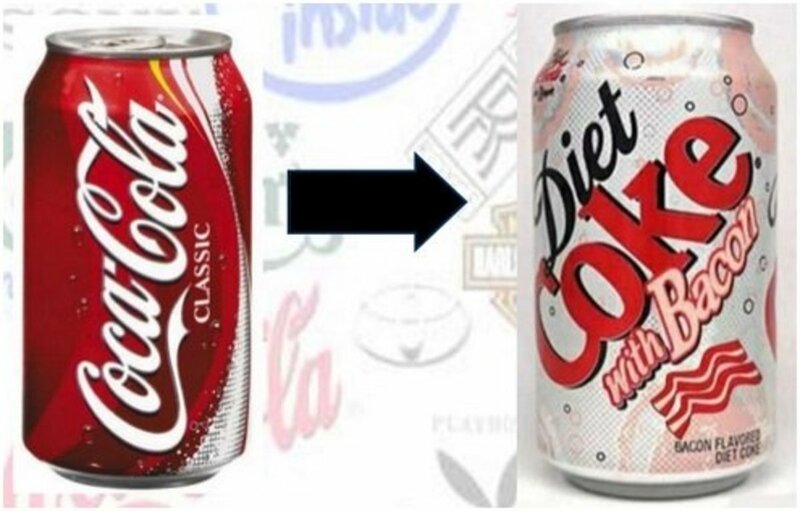 White Coke was short-lived and is notoriously rare nowadays. If any bottles survive, they're hidden enough that I couldn't locate any photos. Heck, the above picture isn't really what the actual product looked like. Oops, I wasn't supposed to mention that. As a Forensics student, let me nerd out and explain the pH scale: it's a measure of acidity or basicity of a substance ranging from 0-14. Seven is neutral (like water), while anything above is basic, and anything below acidic. Venture too far in either direction and you're dealing with potentially dangerous substances. Coca-Cola has a rather strong acidity of 2.5. 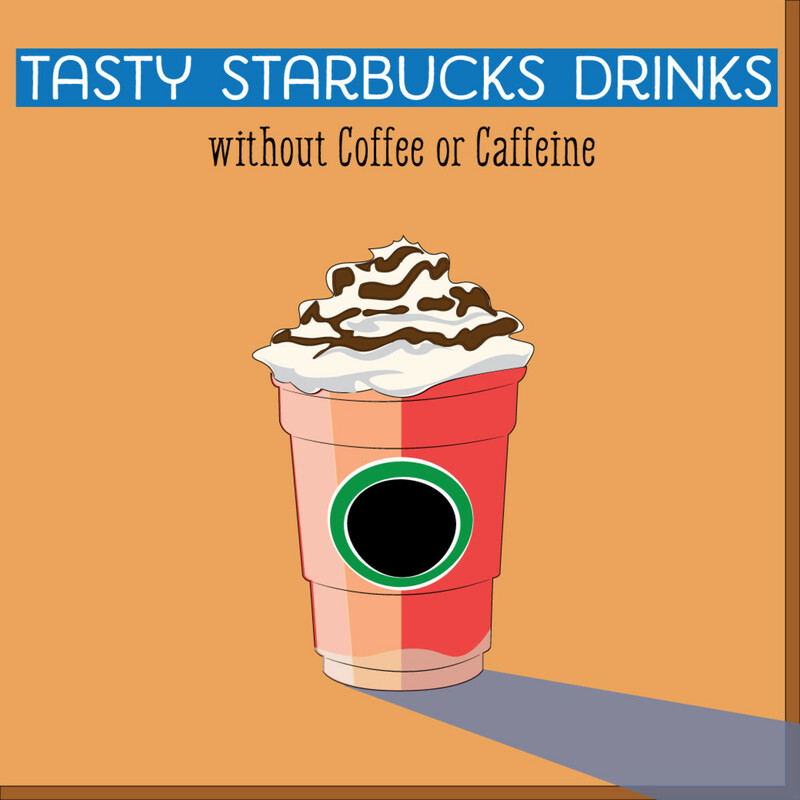 This won't kill you, but will erode your tooth enamel over time, so be sure to consume it in moderation. Check out the pHs of other drinks below for some reference numbers, and don't fret, for Coke features two healthier options..
As you can see, most beverages are slightly acidic. 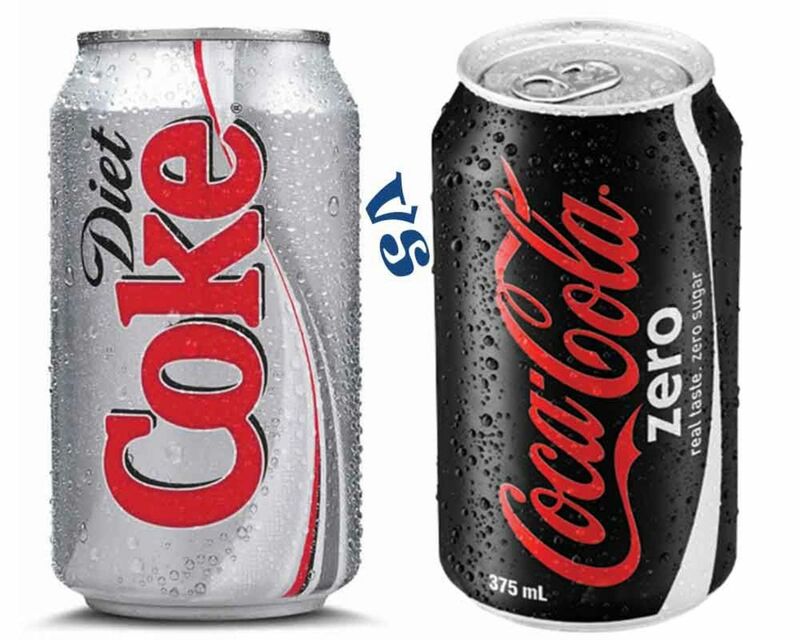 Coke wasn't satisfied with their single diet soda, Diet Coke, and thus Coke Zero emerged. Despite positive reception to both products, I've found almost no one knows the difference. Does one contain caffeine while the other doesn't? Sugar? Calories? Nope! 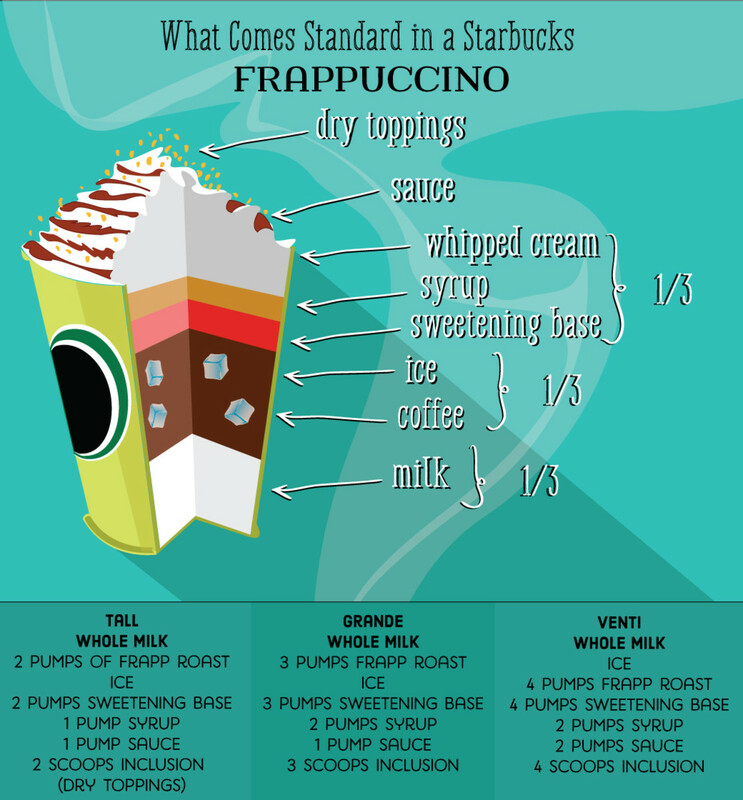 Both are sugar and calorie-free; the two drinks possess slightly different flavors, setting them apart only in taste. Coke Zero more resembles the original Coca-Cola, giving a great alternative for people who don't enjoy the artificial sweeteners of diet sodas. Soda companies like to experiment with flavor modifications to provide variety to consumers. You've no doubt heard of Cherry and Vanilla Coke, but it doesn't end there. Coca-Cola has invented Lime, Lemon, and even Raspberry Coke, yet even these pale next to the bizarre Diet Coke with Bacon brew. 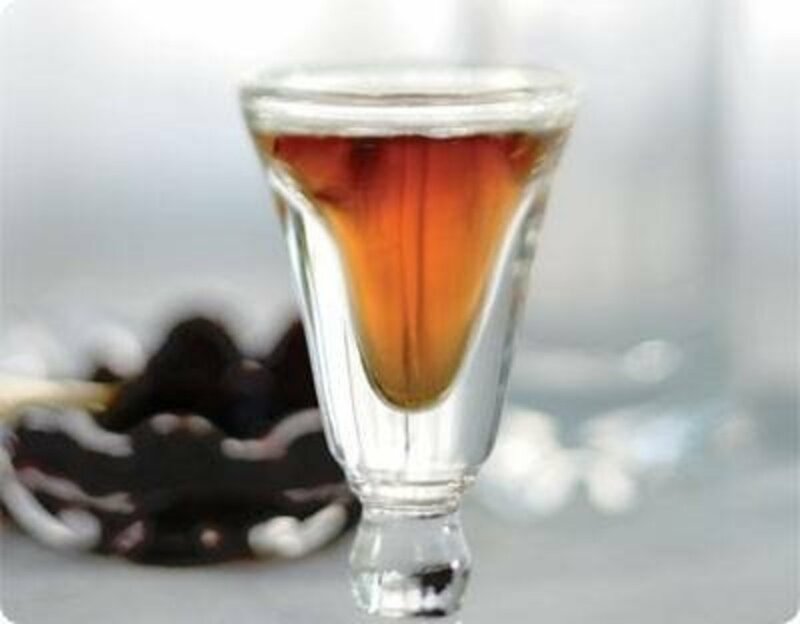 So rare that many consumers are convinced it's a hoax, the drink was supposedly intended as a limited collectible, explaining its few appearances. Or maybe even that is merely hearsay; honestly, after a few hours of research I'm still not sure. 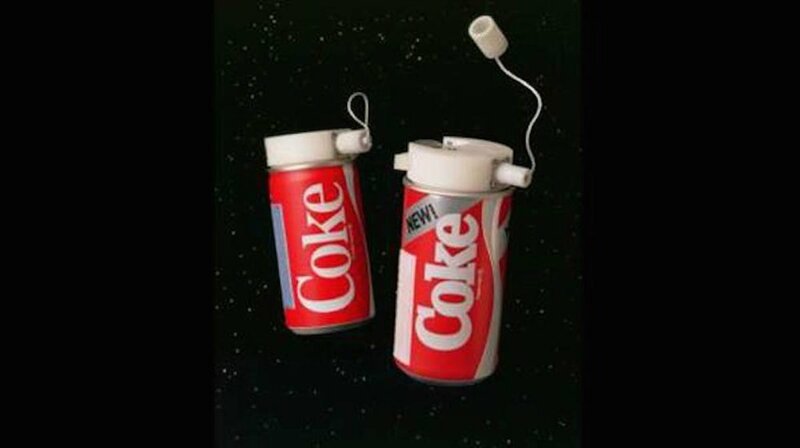 Soda in space is a bit problematic. In micro-gravity, the light gas bubbles won't rush to the top of the liquid and escape. They will stay within the liquid. This means the astronaut will consume significantly more gas drinking a soda in space than one would drinking a soda on the ground. Drinking a carbonated beverage could be like drinking a foamy slurp. Myth: Coca-Cola constructed Santa's jolly and rotund design, dressing him in red to match the soda. 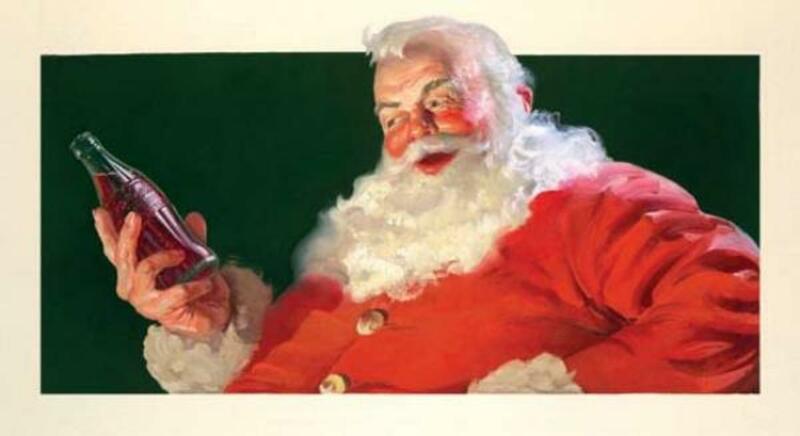 Fact: Santa's round and crimson image existed before Coke's advertisements, and was formed gradually by many artists. That said, Coca-Cola's marketing helped popularize the depiction, particularly because children especially enjoy the sweet soda, forming their idea of a chubby and merry Santa. 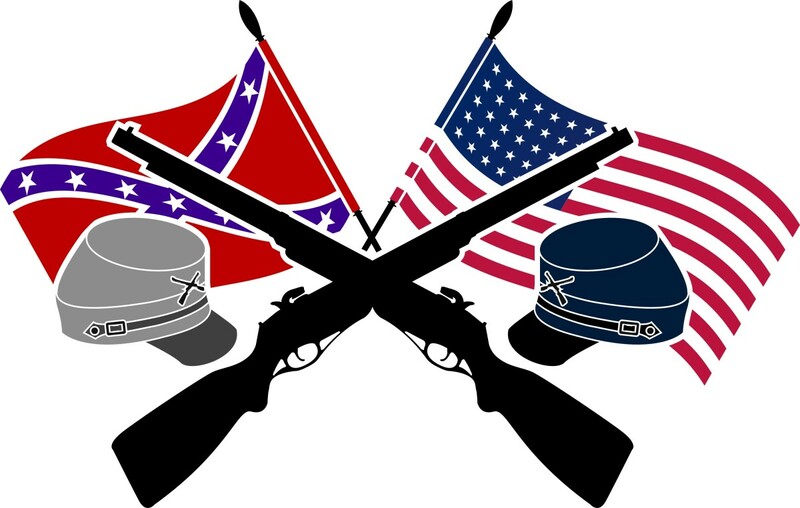 John Pemberton served in a battalion for Georgia during the war, and suffered a saber wound to the chest. He soon became addicted to his morphine medications, and began experimenting with liquid painkillers to break the habit. Pemberton created Coke as a medicine but soon realized its flavorful formula had more potential as a sweet soda, and the rest is history. Well, these guys are the ones responsible for injuring Pemberton, leading to Coke. Not only that, but the Union had cartoonist Thomas Nast draw Santa Claus (who would of course later become a Coca-Cola spokesperson) as a Union-supporting figure. No way. 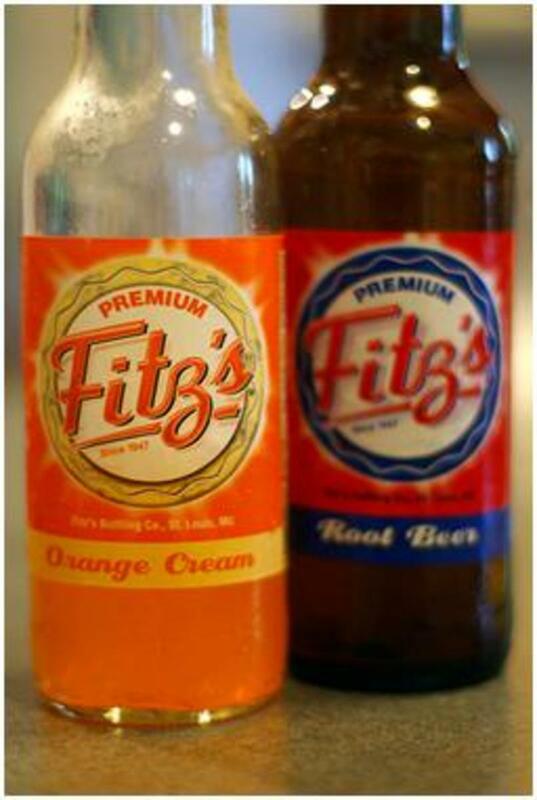 Sure, Pepsi spreads pretty far, but no other soda could dethrone the king of soft drinks, right? Well, not in most places. Coke by far generates the most revenue of any carbonated beverage, especially factoring in its sales of Sprite, Dasani, and the like. Nevertheless, in some parts of the world, competitors gain the upper hand. 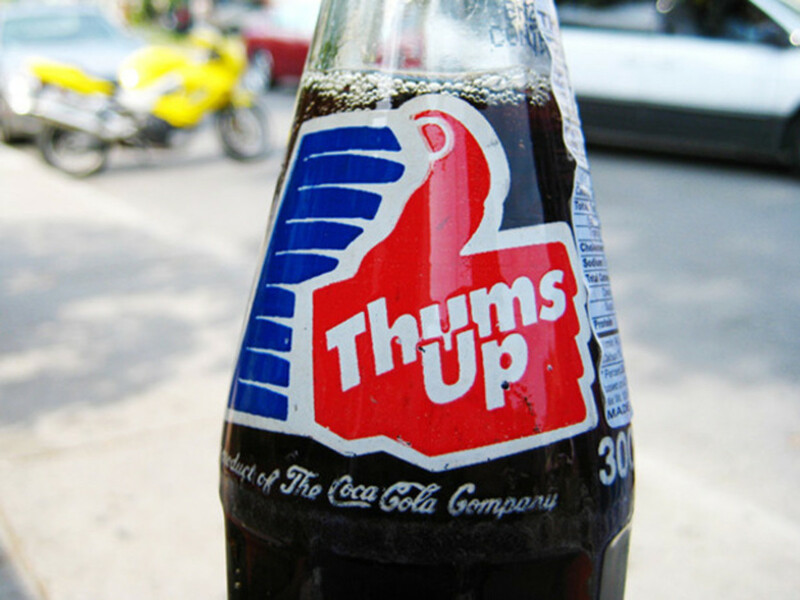 For example, in India, Coke loses not only to Pepsi but also a local cola called Thums Up. Heck, even in its home country, Coke doesn't always win. Dr. Pepper outsells it in Texas, and West Virginians love their Mountain Dew (a PepsiCo product). You sharp-eyed reader, you. Yes, it's true that Indian Coke ranks below Thums Up, but you saw that "product of the Coca-Cola Company" above, didn't you? Yep, this means in India, Coke loses to its own products. Which cola do you prefer? While Coke faces competition from Pepsi, who have steadily narrowed the market gap, it still maintains the majority in most areas. With an ever-diversifying list of products and flavors, Coca-Cola will surely quench our thirst for years to come. Unless they permanently reinvent their formula with bacon, that is. Feel free to vote for your favorite cola and I'll see you at our next countdown! 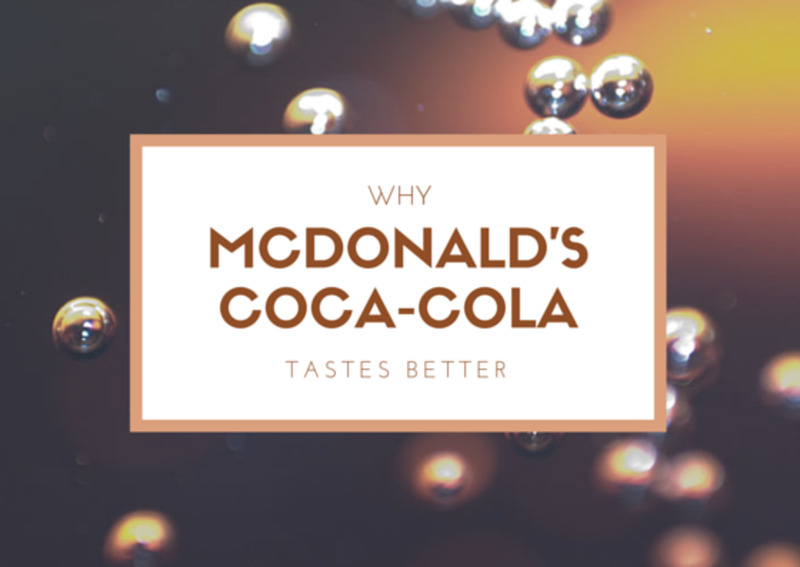 Why Does Fountain Diet Coke Taste Better at McDonald's? 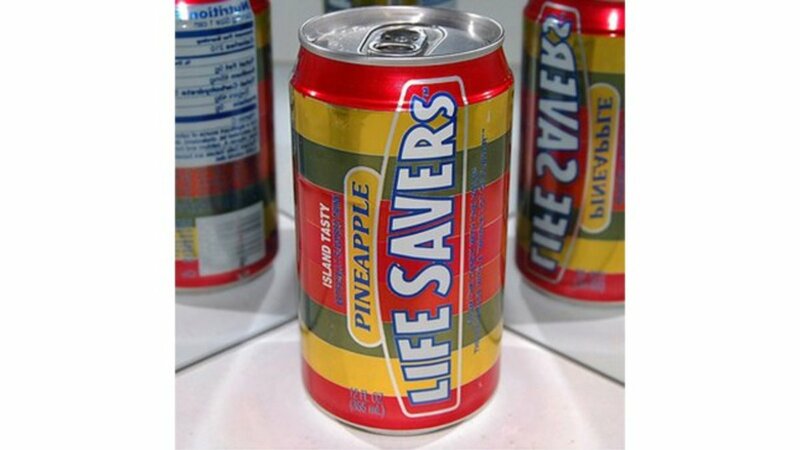 How Many of These Classic 80s Drinks Did You Try? Thanks for your kind words! That's an interesting take on the appeal of Coke Zero. I don't mind walking around with a labeled diet soda, but I suppose some men might find it "unmanly." I did not know they owned Minute Maid. I did know it use to have cocaine in it. When I lived up north in Pennsylvania, Pepsi seemed to be the more popular soda for some reason. I will take either when I drink a soda which is rare. This was a fun and interesting hub. Liked it very much. Great article. I think they made Coke Zero to appeal more to men since males were reluctant to walk round with a beverage saying "diet" on it. I don't actually like cola that much unless there is Jack Daniel's or Malibu in it haha :) Thanks for writing.